A big thank you to everyone who turned up to volunteer for our working party weekend on 6-7 April. We were lucky with the weather and managed to get a lot done in the time. 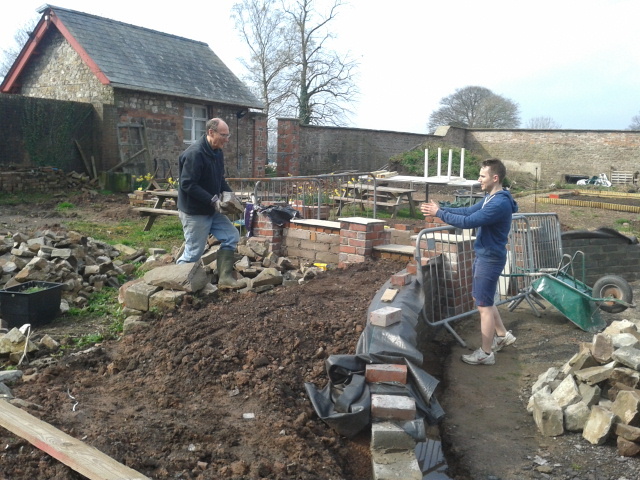 Barry and Chris sorting our stones for the boundary walls in the south east quadrant. About 9 people turned up on Saturday and 3 on Sunday. 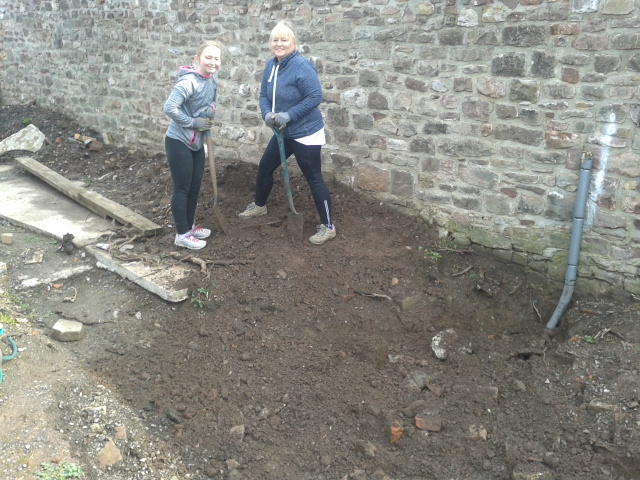 Between us we sorted stones for building walls, primed and painted up some ironwork tree grills, filled in trenches for the power and water cables, did some potting on and watered seedlings. Filling in trenches for the power and water cabling. 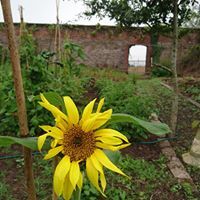 In December 2015, we set up the Friends of Llanfrechfa Grange Walled Garden (FoLGWG) as a small charity with its charitable aims being to take forward the plans to redesign and restore the Walled Garden as a community project for the benefit of all. 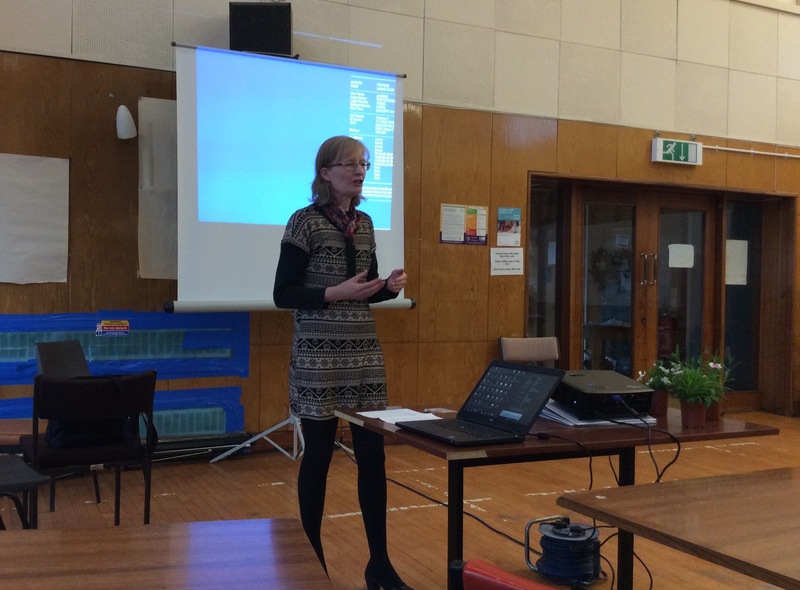 We have had a busy year working in partnership with Aneurin Bevan University Health Board (ABUHB) and others and have began to realise the plans for the garden. 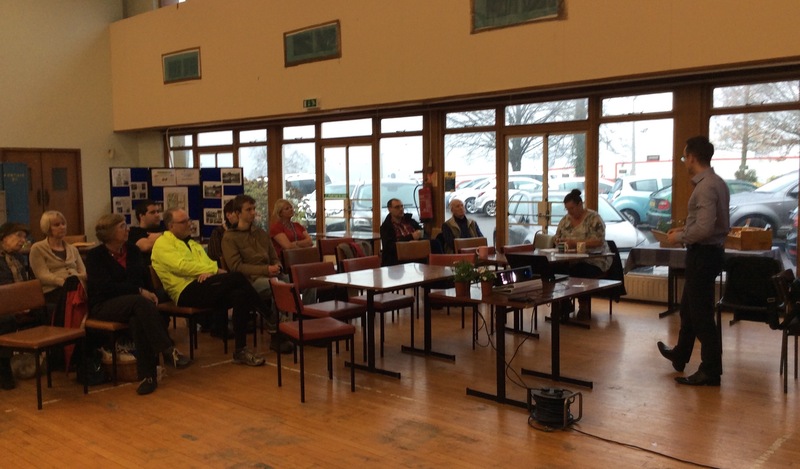 We will be holding the first public meeting of the FoLGWG on Thursday 8 December 2016 at 4 pm in the Main Hall, Llanfrechfa Grange. The purpose of the meeting will be to present our first year achievements and, in order to promote and sustain the garden’s ongoing development, will seek to recruit members to the charity. The meeting will be preceded by an invitation only event for current volunteers, hosted by the Chair and Chief Executive of ABUHB, who wish to meet and thank all those who have helped get us this far. Please join us at 4 pm to find out more about the project and become part of this exciting venture for the community. You might even win a prize in our raffle!